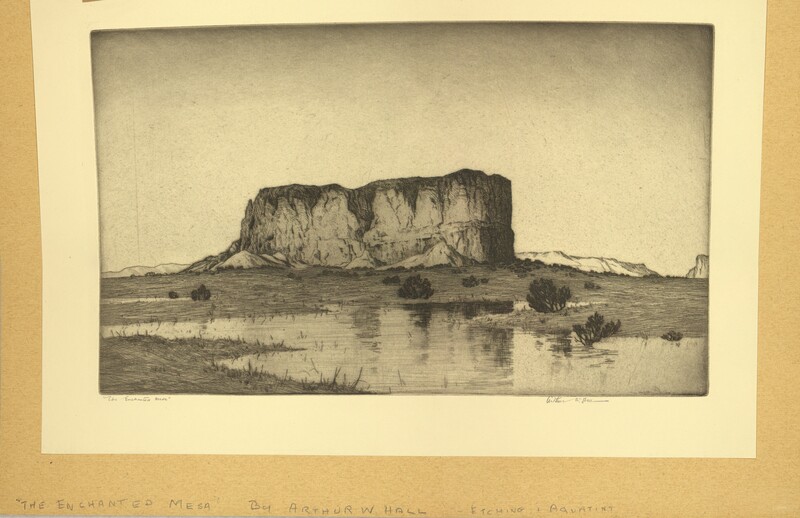 Engraving titled, "The Enchanged Mesa" showing a mesa in the background with water in the foreground and artist’s signature at the bottom right. Matted and unframed. 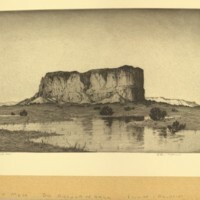 16 7/8" x 11 1/8"